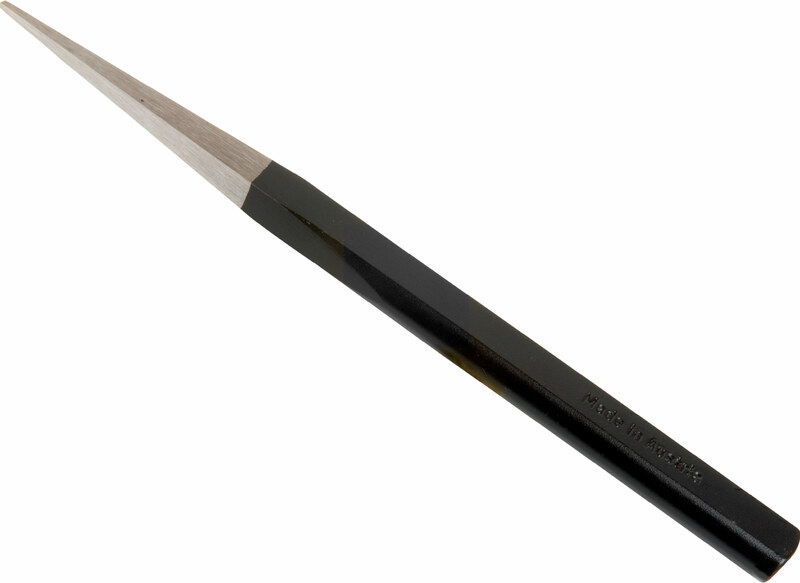 The Mustad pritchel is manufactured out of high quality and air-hardened steel. It should be used at lower temperatures (below 932°F). Maintainance should be done by forging, not by grinding.